Flip a coin. 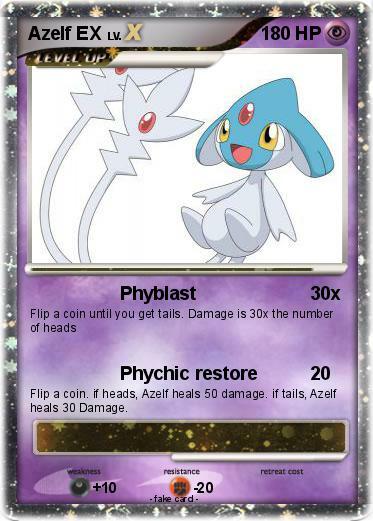 if heads, Azelf heals 50 damage. if tails, Azelf heals 30 Damage.